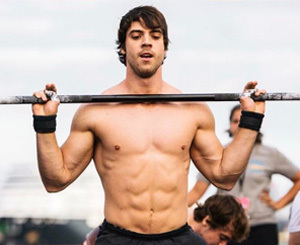 Over the last number of years, the CrossFit phenomenon has exploded. A once select community now harbors thousands and thousands of people all over the world. To Jim, this has come as no surprise whatsoever. Once he had completed his first CrossFit workout routine, he just knew that he had found something special and ground-breaking. Testimonials and stories of CrossFit fans tell tales of triumph, health, and passion. Perhaps it’s the intensity of the workout that has people engage to such a deep degree. CrossFit is a lifestyle and those who choose it find themselves healthier, fitter and happier with each day that passes. With this website, Jim has created an online CrossFit platform, providing tips, encouragement and solid advice. The content is smart, valuable and well-founded and read by 13’000 unique monthly readers. Businesses offering products or services relating to fitness and health have done well advertising on this website. In full knowledge of just how focused and targeted the reader group is, Jim has created top advertising packages in an effort to enhance the content of his site, provide readers with access to relevant product and service providers, and give individuals and business the opportunity to promote their products and services to the right kind of people. The feedback and testimonials from advertisers have been incredibly positive. All of the advertisers have seen a sharp increase in visibility and popularity while also achieving a tangible growth in sales. CrossFit is all about real results and Jim has adopted the same philosophy in the advertising process. During the initial contact with potential advertisers, Jim identifies goals and asks for targets and then goes on to create an effective advertising campaign. It’s all about reaching targets and getting results and businesses have been astounded by just how much they gained through advertising with Jim. Unlike other advertising spaces, ads on this site are viewed by thousands of fitness fans seeking to achieve their own objectives. On many occasions, readers seek specific services and products relating the the content of the website and blog and are happy to check out our advertisers’ websites. Jim’s targeted and result-driven approach has been effective in increasing sales and revenue of advertisers. Many advertisers have been with us for a long time, however, we always welcome new businesses. If you provide fitness and health related products or services, you are guaranteed access to thousands of people who may be looking for just what you offer. You won’t find an equally effective advertising space anywhere else. Super Exposure: Your services and products will be exposed and promoted among 13’000 unique monthly readers and beyond. Our readers come from all across the globe. All of them are interested in CrossFit and health. All of them are on a quest and are continually seeking extra support and tools for their efforts. Excellent Support: Jim and his team provide super support for all of their advertisers, continually focusing on increasing sales and revenue. Smart Advertising: With a sharp focus on results, Jim drives intelligent advertising campaigns that are founded on careful analysis of website data and customer surveys. Nothing is left to chance and the ads are placed for optimum effect. Networking, Collaboration, and Mutual Support: Advertisers become part of the greater CrossFit community and enjoy a plethora of networking benefits. If you would like us to help you reach your goals and advertise on our website, please get in touch through the form below. We look forward to working with you and are confident of creating benefits for your business, our readers and our website.